Huge Savings Item! Free Shipping Included! Save 17% on the Amber Sports Space Saver 2-Tier Dumbbell Rack by AMBER at Strongman Pictures. MPN: RK3D. Hurry! Limited time offer. Offer valid only while supplies last. This Two-Tier dumbbell rack provides easy access to dumbbells and works as a space Saver in your home gym. Two-tier 20-inch dumbbell rack. This Two-Tier dumbbell rack provides easy access to dumbbells and works as a space Saver in your home gym. 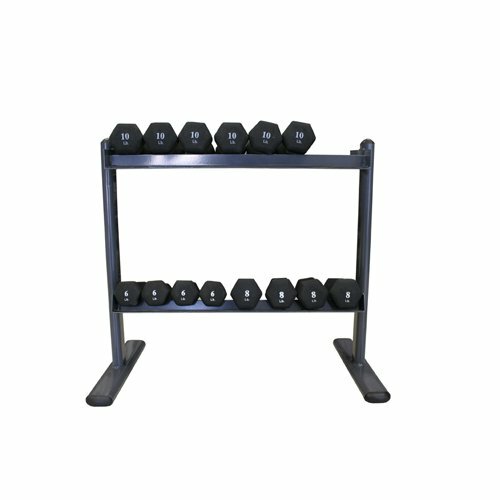 Two-tier 20-inch dumbbell rack. Powder-coated for a scratch-resistant, rust-resistant finish.